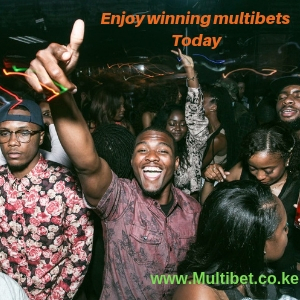 With the coming of sports based gambling or betting in Kenya there in turn have come stories of betting enthusiasts obtaining instant fortunes and no other betting provider has made as many millionaires in Kenya as has Sportspesa from the luck few winners of the mega jackpot to the many luck winners of the mid week jackpot each offer multiples of millionaires to the fortunate sportpesa customers. 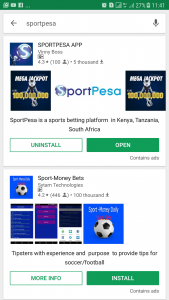 Betting in Kenya has been made easier than ever with the use of mobile based applications and Sportspesa has its own.The app is a direct replica of the sportpesa’s website and is as easy to navigate through. 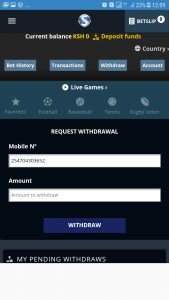 A user has only to search for the term sportspesa app on their android phones play store and the first result is the installation package for the application.The user will be provided with a option of installing the application on which when choosen the application will automatically download.Once the download is complete the user will be provided an option to install the application then to open it. 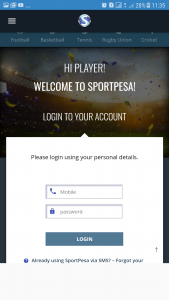 Once the application is installed and opened you will first encounter the login page that will require you to input your login details i.e mobile number and password assuming that you are a registered user. 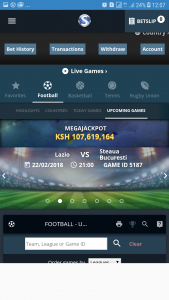 The application has been well designed to mimick the look and feel of the sportpesa website.The color scheme,page layout and navigation markers have been placed as they mostly are on the website making it easy for sportpesa customers to navigate through the application panes as if they were actually on the web based website. 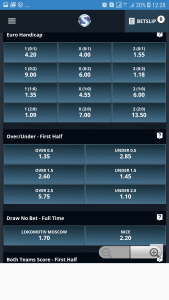 The pane displaying the days games is easy to maneuver,has a scroll down capability that makes it easy for a user to view the select games of the day. 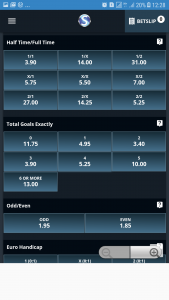 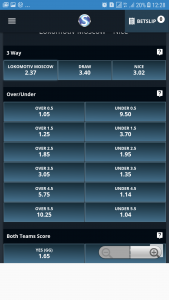 Sportpesa has as well made it easy for their customers to access the mixed market options by creating a well highlighted option of “view more markets” that appears below each game. 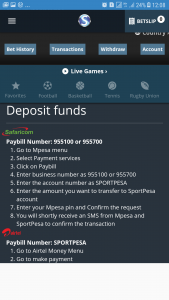 Sportpesa app has made it easy for you to get instructions on how to deposit your float onto the platform.You just need to click on the yellow deposit funds marker on the application and this will direct you to detailed instructions on how to deposit funds. 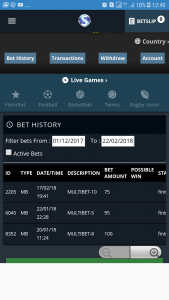 So how do you go about placing a bet on the sportpesa app,well first you need to do your research or consult one of the top tip providers in the country www.Multibet.co.ke for the right games to place your bets on. 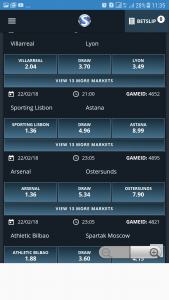 Sportspesa and inturn the sportspesa app offers users with a magnitude of possible outcomes for each game which gives odd takers multiple probabilities of a win as well as trap holes for possible losses. 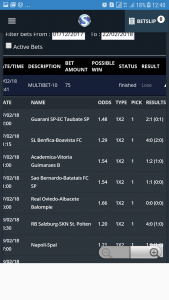 well this is the most common question that most betters wake up with the day after they placed the multibet consisting of the evening games.Well when you are using the sportpesa app there is no need of searching through your multitude of missed texts for that all so sort after congratulations text.You just need to navigate to the bet history tab. 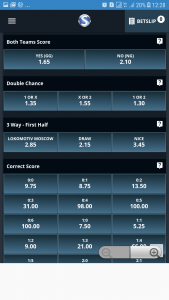 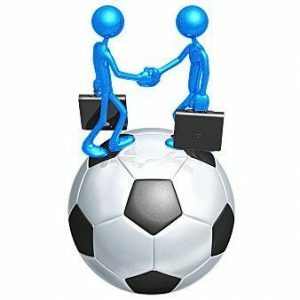 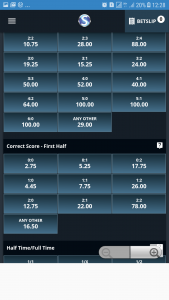 You are able to search for all the bets you have ever placed even those placed through the website and it will give you a breakdown including outcomes of each game.